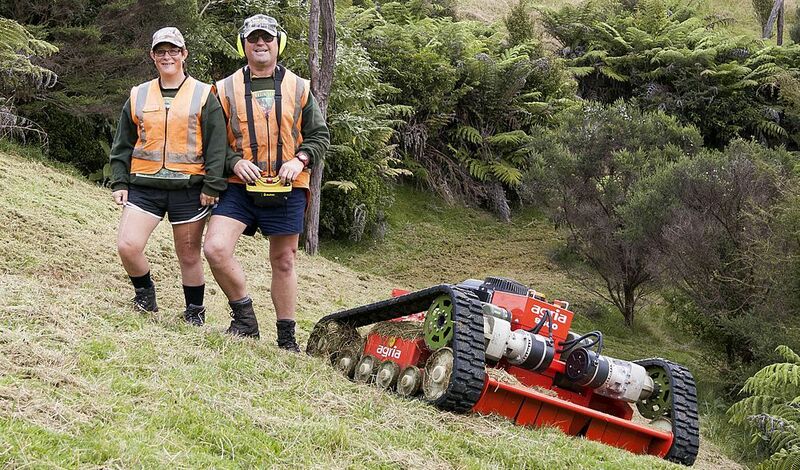 The team at ALL-TERRAIN SERVICES spent time researching machines from around the world. Our aim was to source machines that were reliable, efficient and also met our highest safety standards, so we could offer a service that went above and beyond. We went to varying sites and trialled many different machines, putting them through vigorous testing to find those that met all our requirements and ticked all the boxes. After much careful thought and consideration, we narrowed down our search to the extreme machines that you see on site today. "To anyone interested in clearing their unkept long grass, gorse on a slope. Darryn and Jacqui were very helpful, given that our property is 60 kms away. They went out of their way to understand exactly what we wanted before heading off to undertake the task. As our tractor had broken down, our Olive Grove was overgrown with long grass, some areas hadn't been properly cleared due to the steep slope of the land since we first established the olive grove 5 years ago. Darryn and Jacqui cleared the block before picking, unfortunately they had to work in the rain to get the job. They cut back the long grass and went out of their way to clear the total grove. On time and on budget. Thanks Darryn and Jacqui." "We have a 35 acre block with a steep varied terrain near Wainui. The All-Terrain Services team arrived on time with a positive attitude.They quickly and efficiently surveyed the land and in consultation planned the most cost efficient and effective methods to rid us of our gorse infestation ( much of which is very old and in inaccessible places that other companies have been unable to reach!). The machinery used was space age like ! We have been absolutely delighted by their competitive price, professionalism and speed in which the task was completed. Jacqui and Darryn are a friendly team yet success driven and let no obstacle stand in their way. We cannot recommend them highly enough and have no hesitation in recommending or using their services in the future." "With my large and very steep 6 acre lifestyle block keeping on top of the very long grass and scrub was a major for me.But with Allterrain services and their amazing machine mowing machine “George” it has become a breeze. Incredible result on some very steep slopes all done with absolute precision and safety in mind. Great to see a husband and wife team like Darren and Jackie in action and a pleasure to share a cuppa and sandwich with at lunch break. Highly recommend for those big tough jobs!!" "Excellent job, such geninue and kind people, fantastic communication, would highly recommend"
"Darryn & Jacqui did an amazing job of mowing and clearing gorse which was taking over. And at a very reasonable price. Thanks again guys!"